Quirky Robots Brushes Pack - Free Photoshop Brushes at Brusheezy! This new Quirky Robots Brushes Pack is down right out of this world! Included in this pack are seven different robots brushes with cartoon faces and silly expressions. Also included in this robots brush pack are a couple of outer space brush elements. Download this robots brush pack to take your work to the next level! 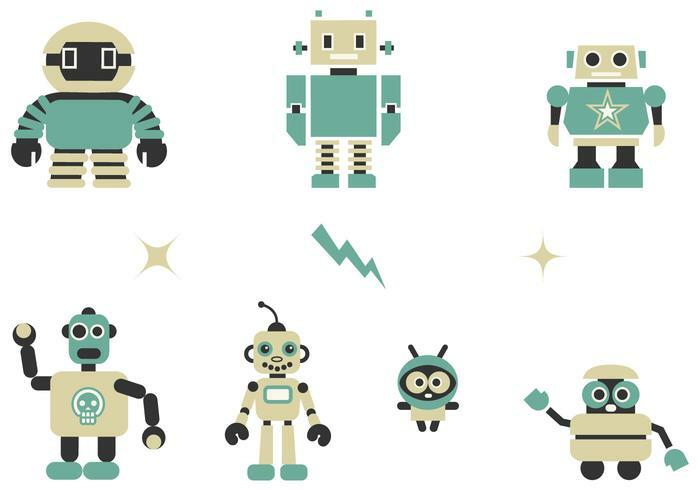 Also check out the <a href="http://www.vecteezy.com/technology/56311-quirky-robots-vector-pack/premium">Quirky Robots Vector Pack</a> over on Vecteezy!